The ear consists of three major parts: the outer ear, the middle ear, and the inner ear. The outer ear includes the pinna--the visible part of the ear--and the ear canal. 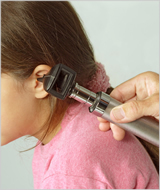 The outer ear extends to the tympanic membrane or eardrum, which separates the outer ear from the middle ear. The middle ear is an air-filled space that is located behind the eardrum. The middle ear contains three tiny bones, the malleus, incus, and stapes, which transmit sound from the eardrum to the inner ear. The inner ear contains the hearing and balance organs. The cochlea contains the hearing organ which converts sound into electrical signals which are associated with the origin of impulses carried by nerves to the brain where their meanings are appreciated. Many physicians recommend the use of an antibiotic (a drug that kills bacteria) when there is an active middle ear infection. 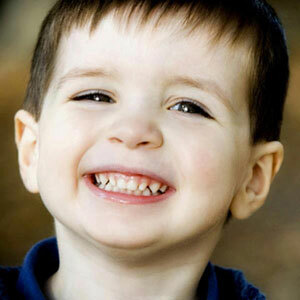 If a child is experiencing pain, the physician may also recommend a pain reliever. Following the physician's instructions is very important. Once started, the antibiotic should be taken until it is finished. 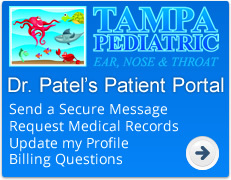 Most physicians will have the child return for a follow up examination to see if the infection has cleared.